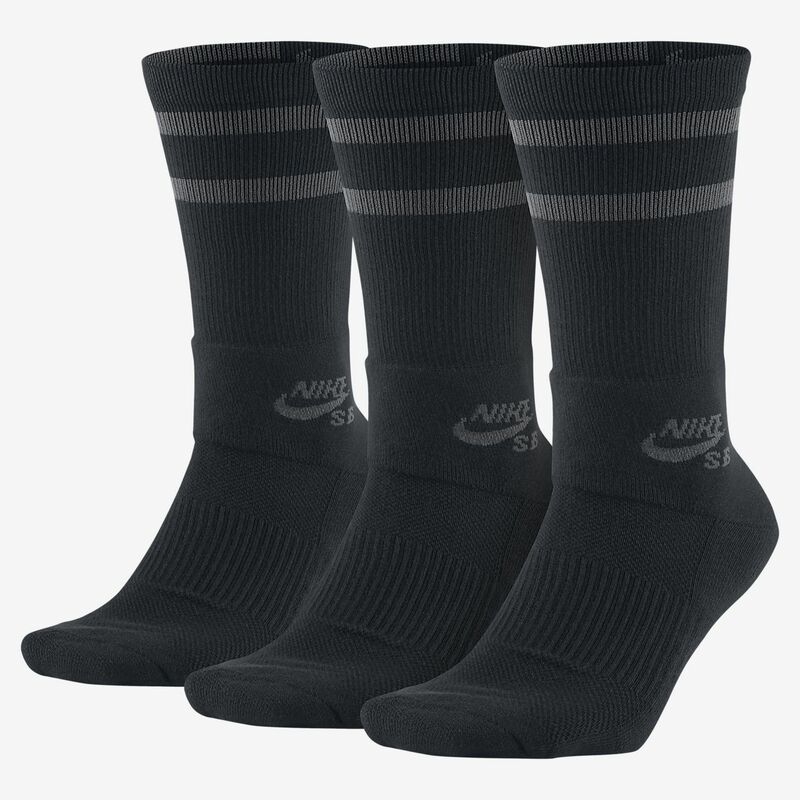 The Nike SB Dry Crew Skateboarding Socks are made with soft, sweat-wicking fabric and lightweight cushioning to help keep your feet cool, dry and comfortable while you&apos;re skating. They're made of great quality very nice plush feeling and soft socks. Great for anyone who skates, or for casual/loungewear. I'm convinced Nike puts more production effort into their SB line of socks than anything else. The cushioning is probably the best I've felt from Nike. There's even padding around the ankle. Obviously, they're made with skaters in mind. You don't have to be a skater to wear these. The style is a mix of modern and retro which I love. The value imo is good considering the price of other socks I've purchased from Nike, which were far more expensive and unraveled and fell apart after a few wears/washes. Super comfy!